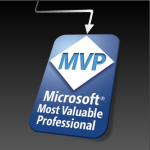 I just got an e-mail from the Mother Ship that says I’ve been renewed as a Microsoft Most Valuable Professional! This makes it the eighth year in a row that I have received this honor, and I’d like to thank all of you who read this site and visit the Visio Guy Forum. Your visits, page views, comments questions and downloading madness all prove that what we do here at Visio Guy is worth the effort, and a benefit to the Visio community. I cannot count the number of things I have learned about Visio from your posts on this blog and in the forum. Thanks for the nice words, Joe! Many congrats MVP – highly deserved I must say. Keep up the great work on the site.